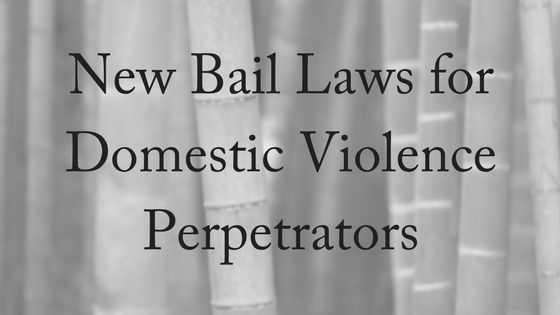 New bail laws have just been introduced in Queensland for domestic violence perpetrators. Domestic violence is a scourge on our society and trying to protect victims and bring about justice for them is an ongoing issue. 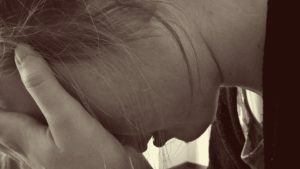 While it is still a battle, changes are being wrought about in Queensland’s legislation which mean that more lives will be saved through more stringent conditions place on domestic violence perpetrators. Queensland Parliament has very recently passed and assented the Bail (Domestic Violence) and Another Act Amendment Act 2017. Anyone charged with a serious domestic violence offence in Queensland will now have to prove why they should be granted bail and allowed back into the community before they face court. This is a bill that was first introduced by the LNP. The private member’s bill came after Teresa Bradford was killed by her estranged husband inside her Gold Coast home in January. Opposition Leader Tim Nicholls, who introduced the legislation, said the changes provided more security for victims. The new laws provide more safeguards for domestic violence victims. 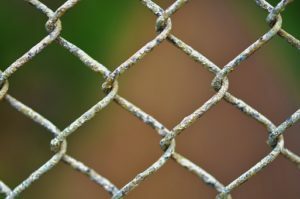 The Act places the onus on domestic violence perpetrators when applying for bail; it reverses the presumption in favour of bail for alleged offenders charged with domestic violence offences. The Act also includes provisions for courts to order alleged offenders to be fitted with GPS tracking devices as a bail condition. Under the new laws victims are also given urgent appeal rights and the laws introduce new notification provisions for domestic violence victims when an accused person makes an application for bail. Teresa Bradford would have had more protection with these new laws. The Gold Coast mother of four was only 40 when her estranged husband stabbed her to death and then killed himself. David Bradford was out on bail over an earlier domestic violence charge. Teresa was only one of the 18 women who died from domestic violence. They all have families, friends and neighbours who are impacted by their deaths. There is never just one victim – the whole community is affected. Women who are in the same situation as Teresa Bradford finally have one more measure of protection from their domestic violence perpetrators. But there is more that can be done. Tim Nicholls said, “We’ve only seen 46 of the 121 recommendations in the Not now, Not ever report actually implemented.” The report was handed down in 2015. Two years later any progress still seems slow. Even the slow progress that is made can still be seen as flawed. While the Women’s Legal Service Queensland has broadly welcomed the changes, they fear good intentions could backfire. Because intimate partner violence is a chronic, ongoing issue for many Australian women, we need to be ready to help. One in four women in Australia has experienced intimate partner violence. This means that it’s likely you know several women who are experiencing domestic violence. Part of our biggest challenge is changing the culture and our attitudes towards domestic violence. We can all be a part of that. At Divorce Lawyers Brisbane we want to help those who are victims of domestic violence. If you have experienced physical and sexual abuse, emotional and/or verbal abuse or threatening behaviour we can assist you in making an urgent Application for a Protection Order. Our family lawyers are compassionate and experienced in domestic violence matters. Please contact us today for a free, 10-minute phone consultation. If it is an emergency, please contact the police on 000.